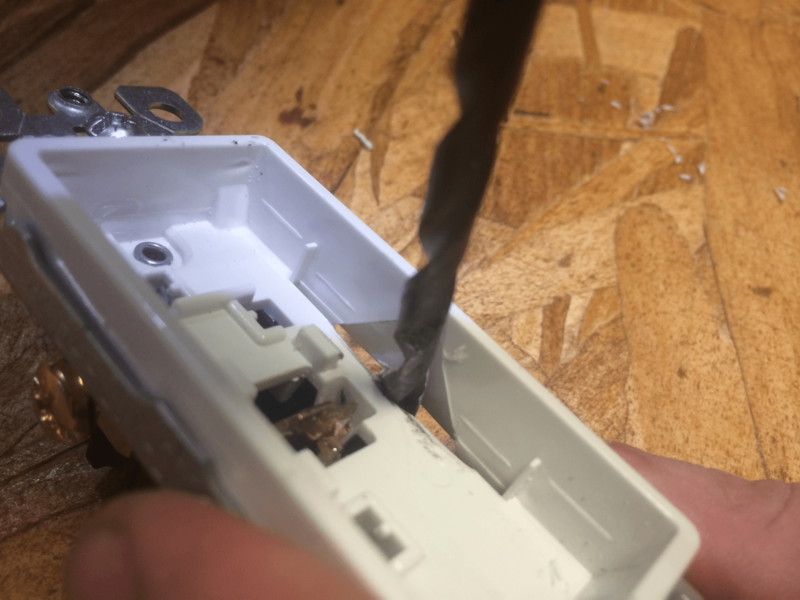 Gently pry the lightswitch paddle off. 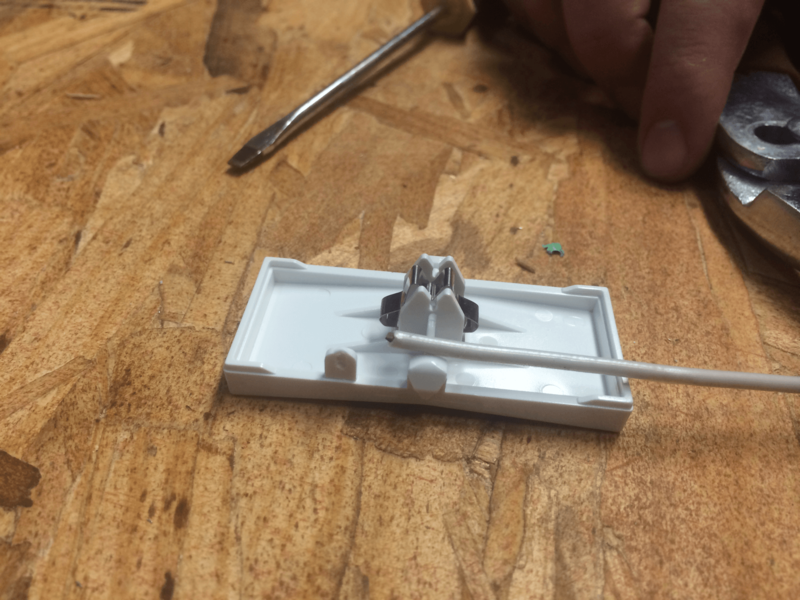 And bend it upwards so that it is flush to the outside. 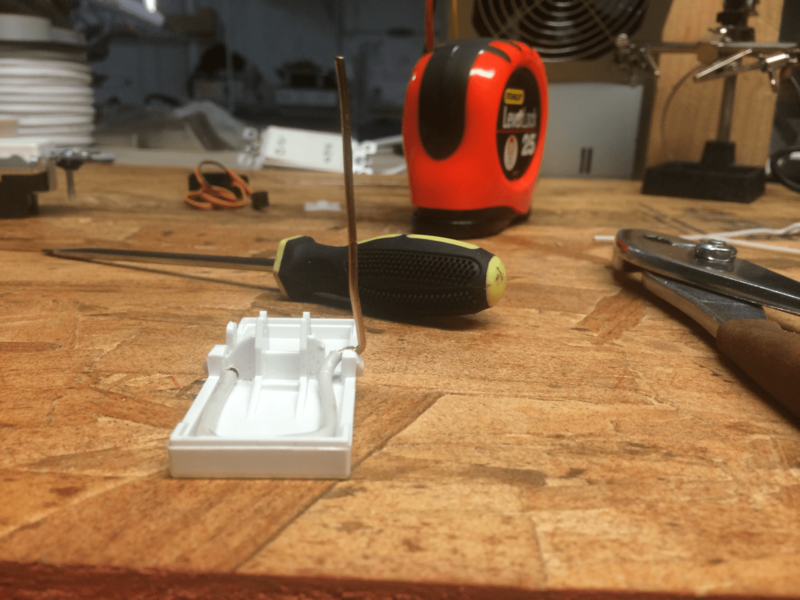 Here is another view of the prior step. 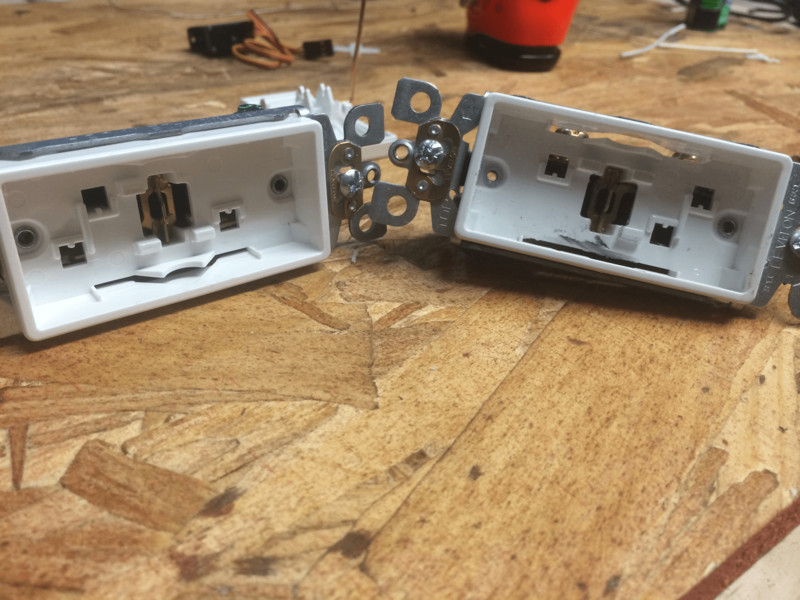 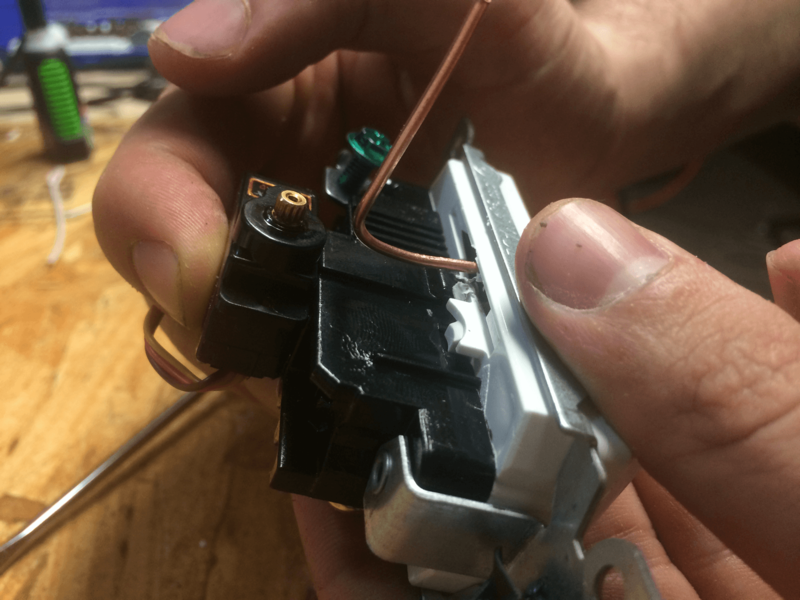 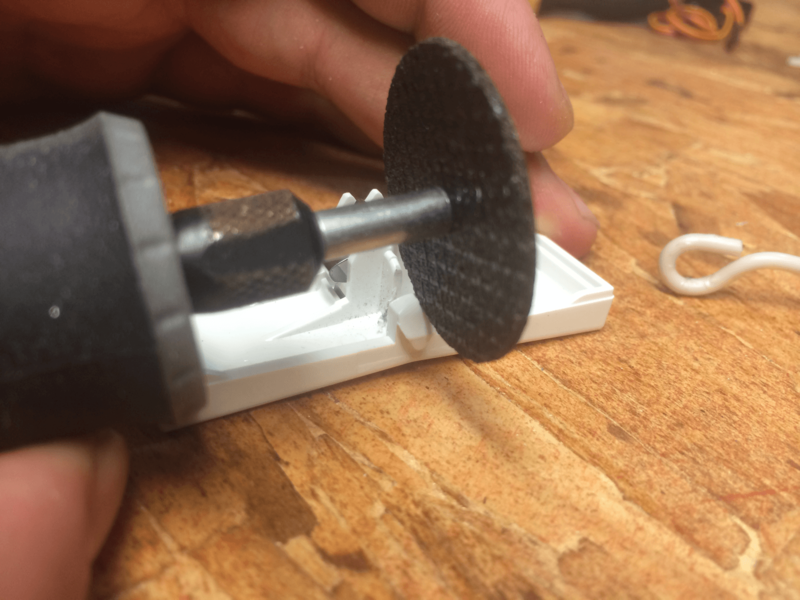 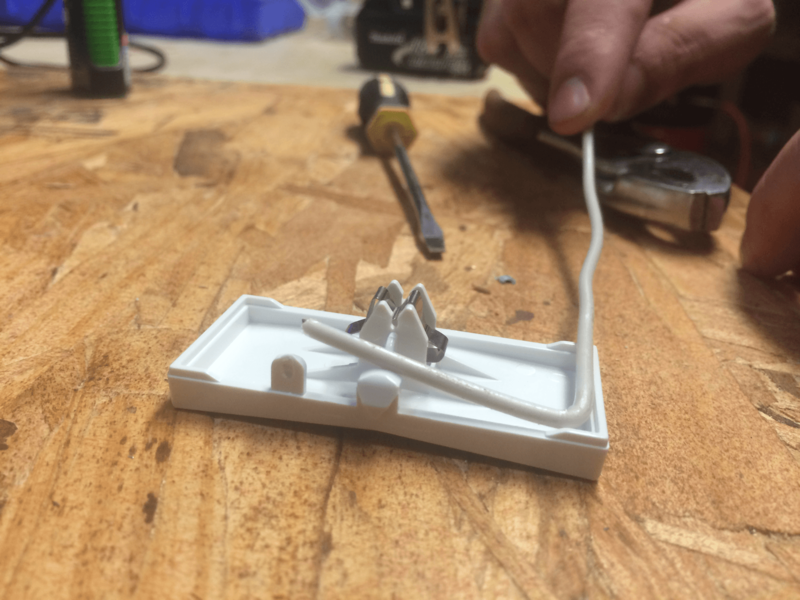 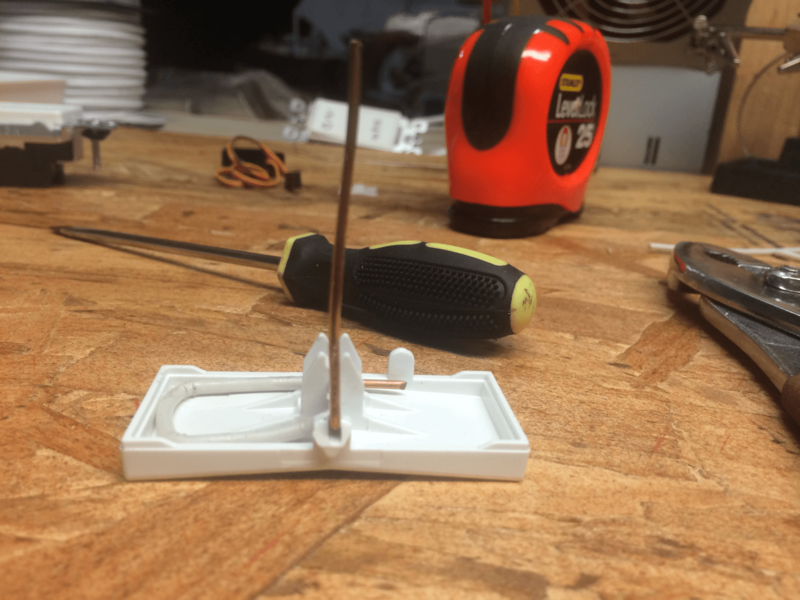 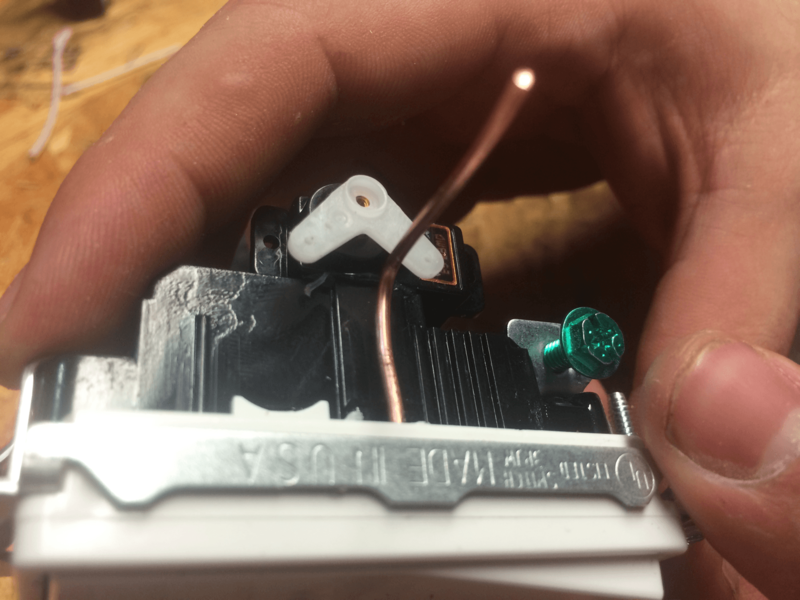 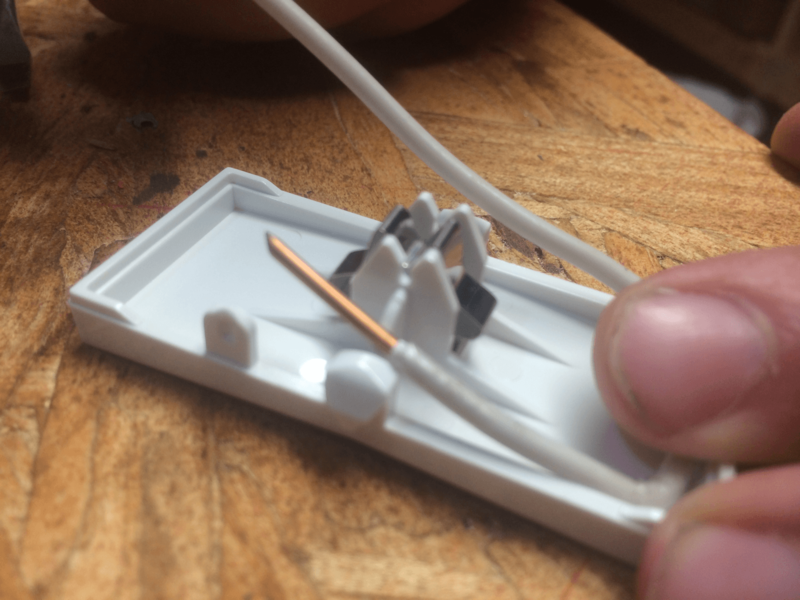 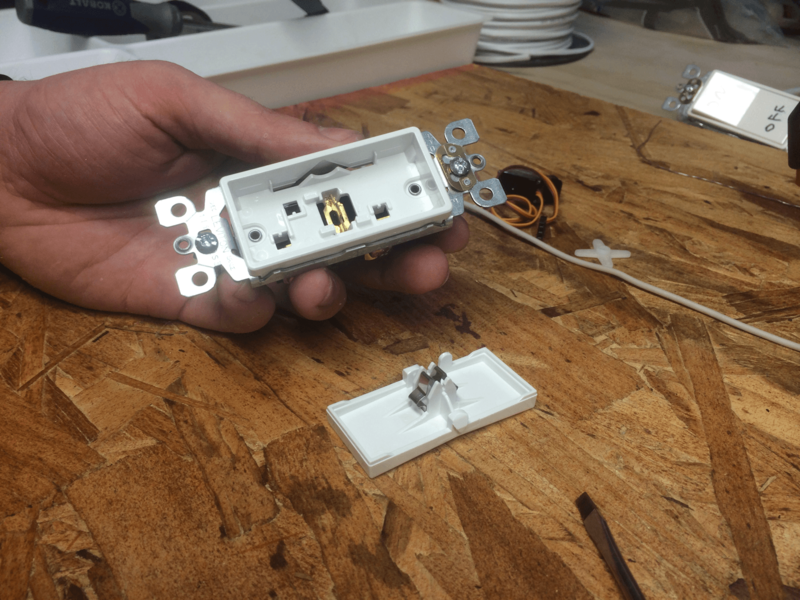 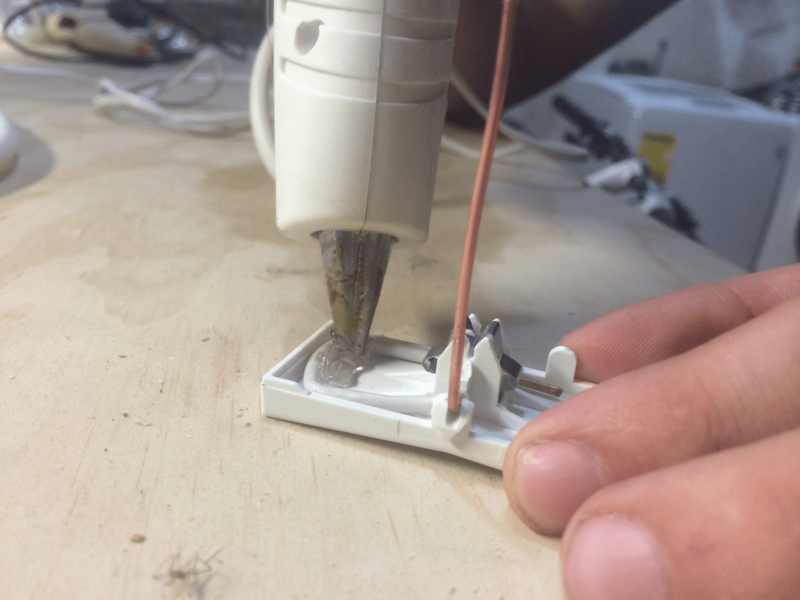 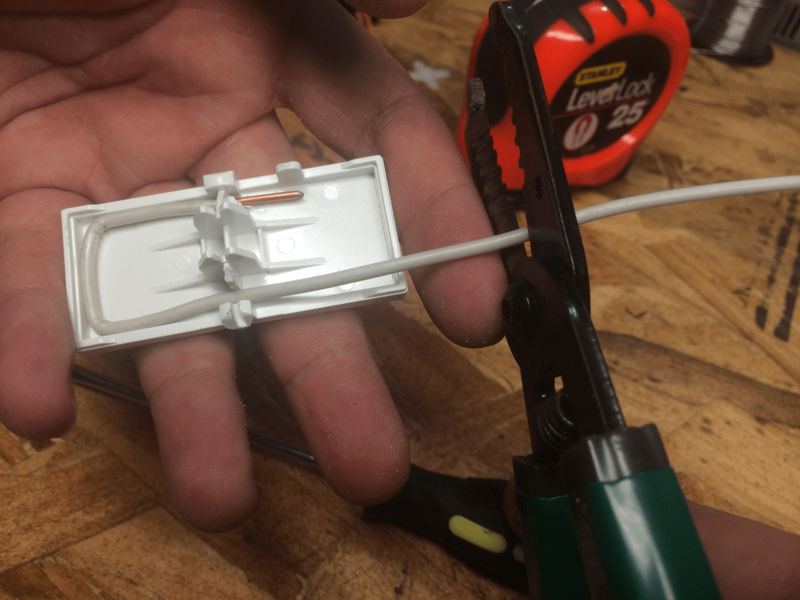 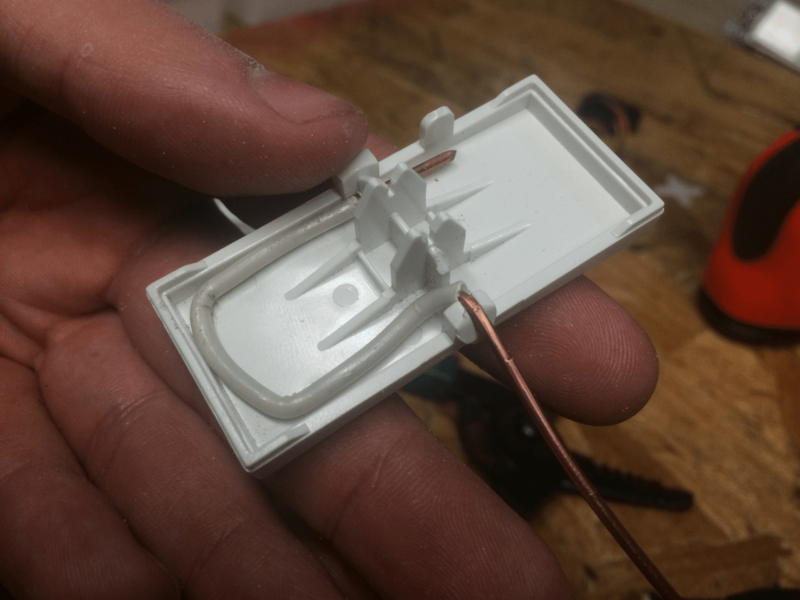 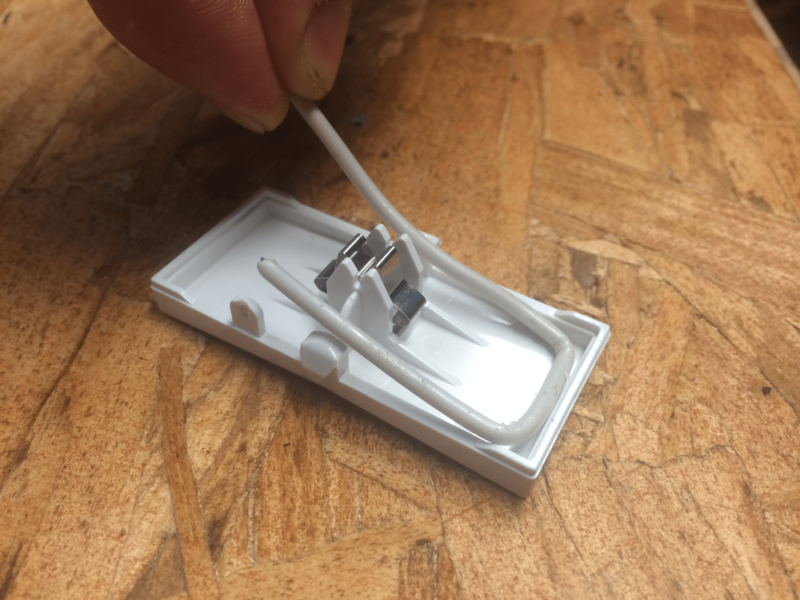 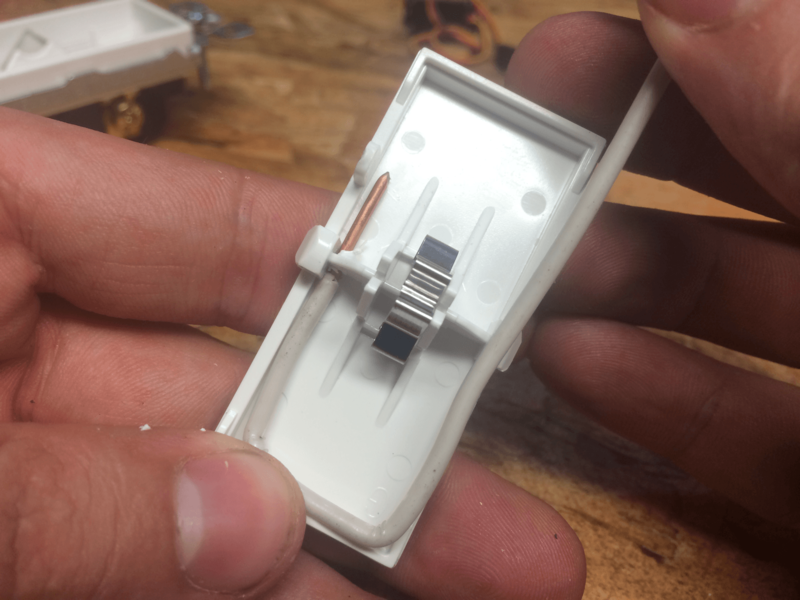 Shape the wire so that it can easily be toggled by the servo. 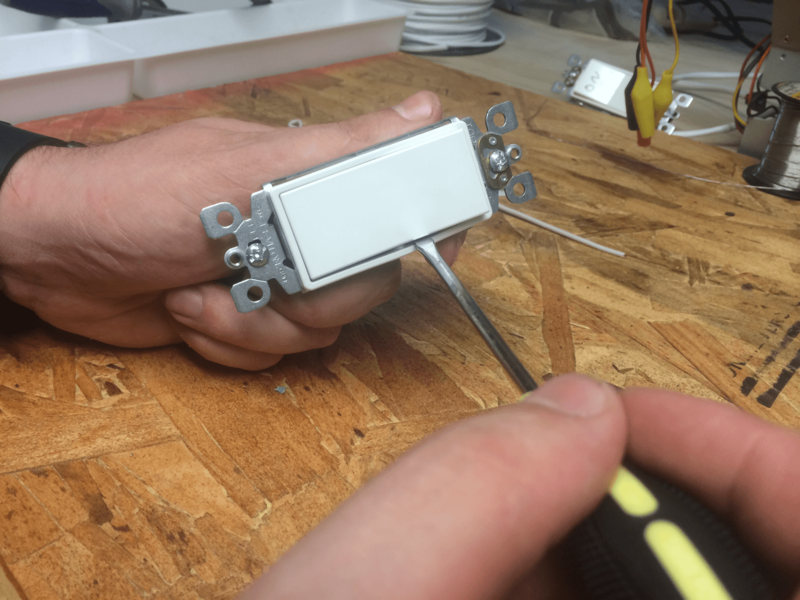 The mechanical portion is complete! 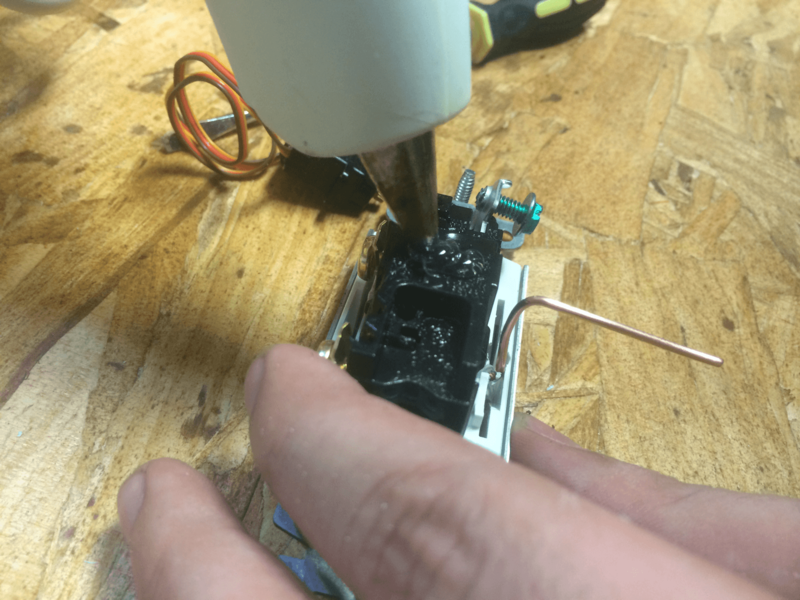 Stay tuned for the circuit and firmware! 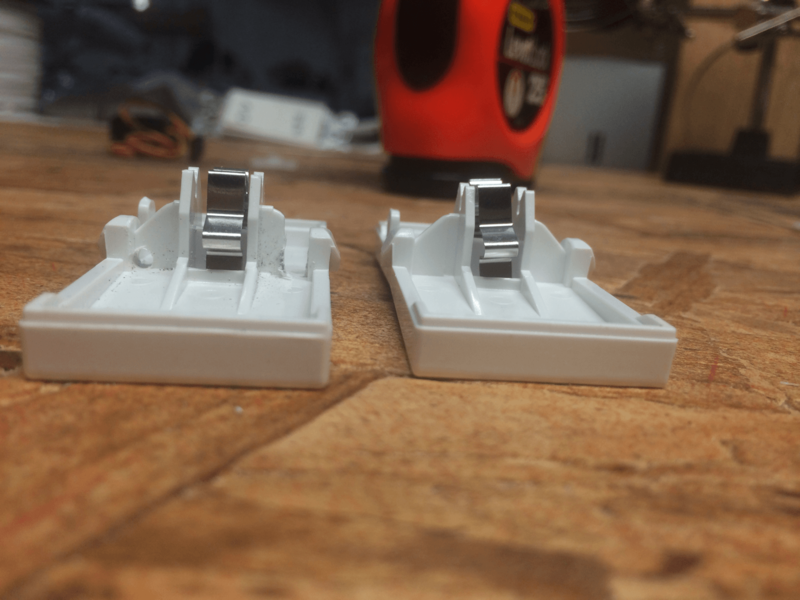 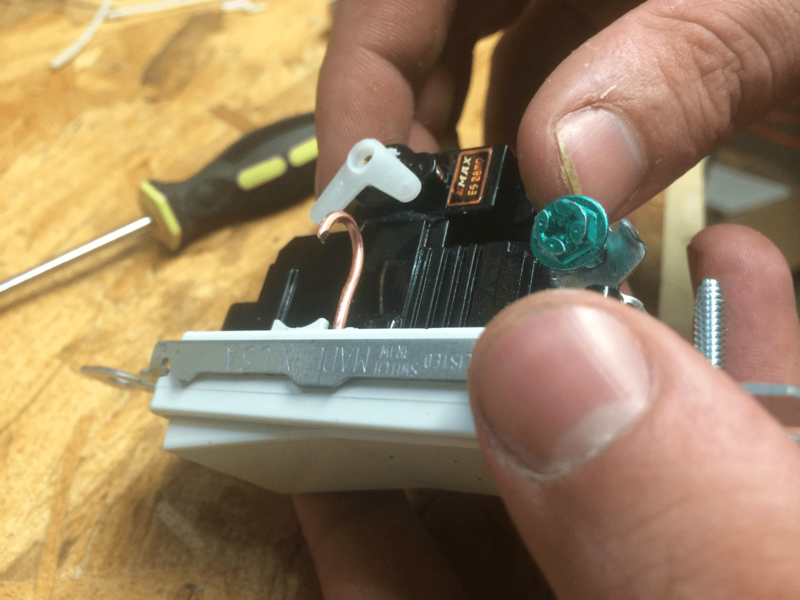 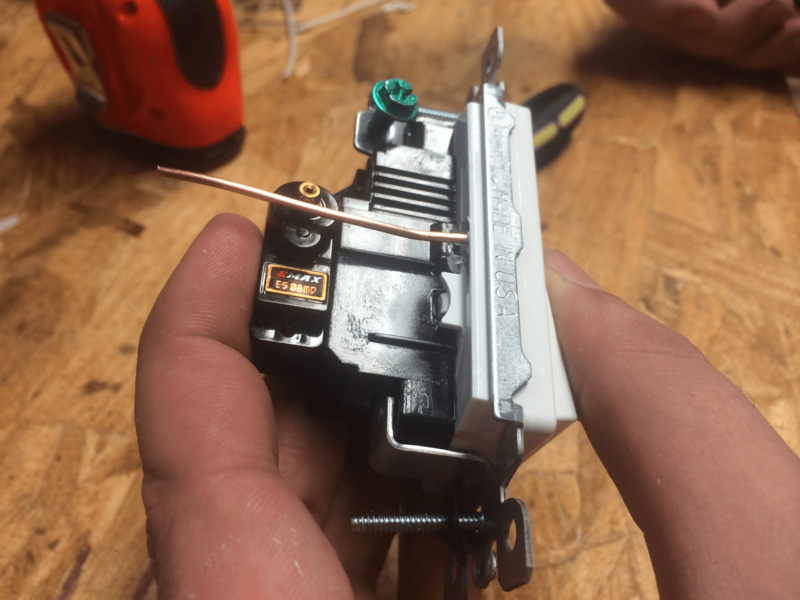 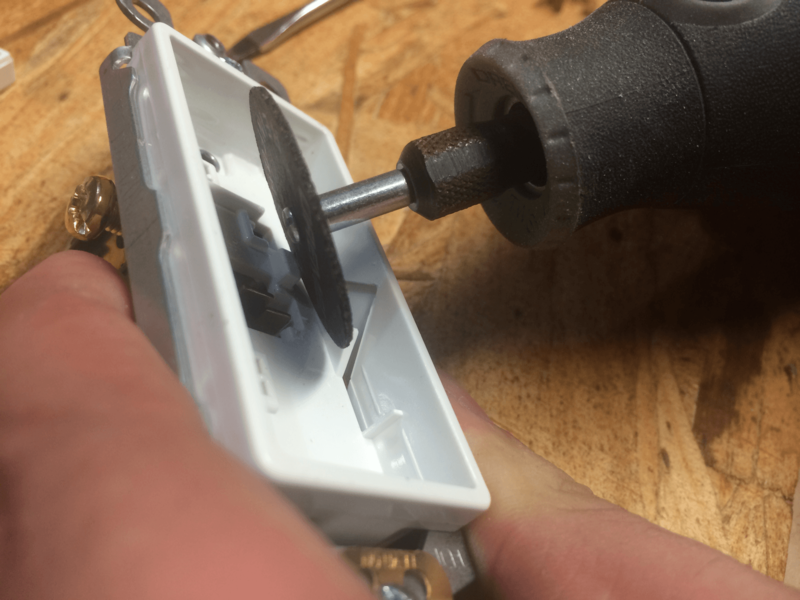 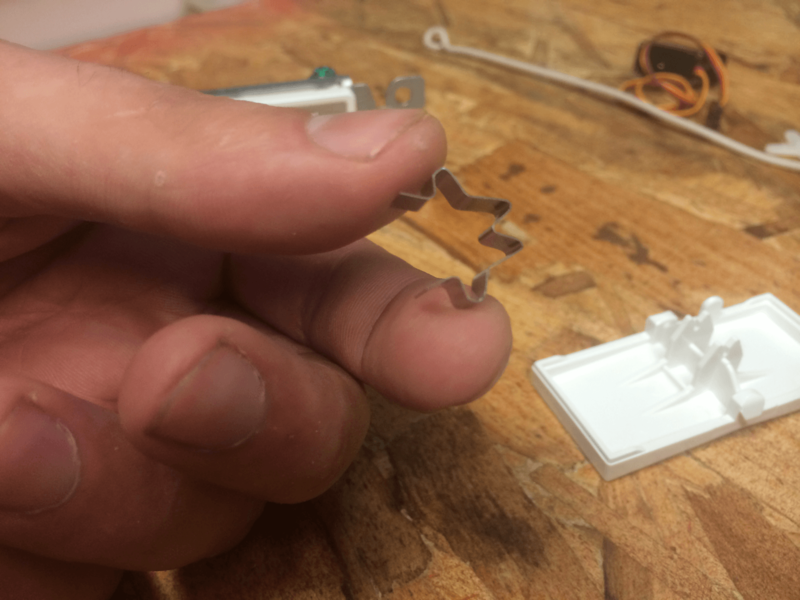 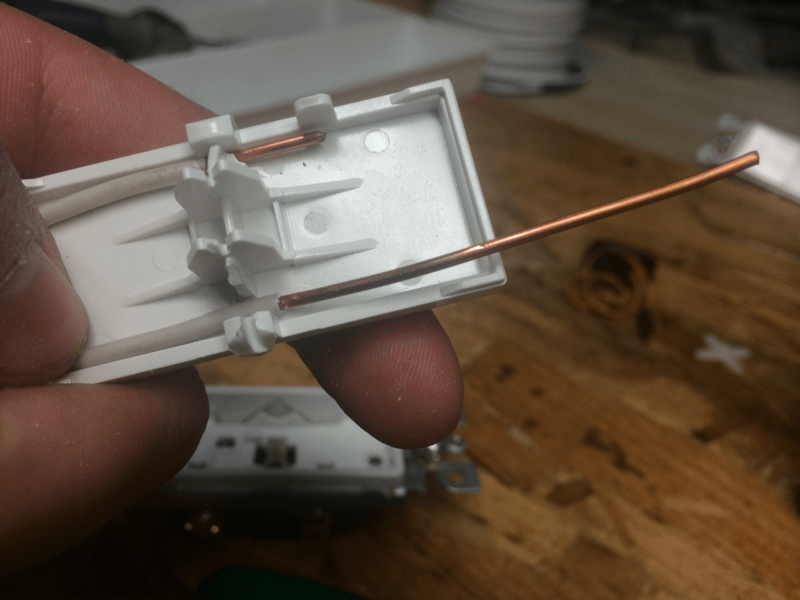 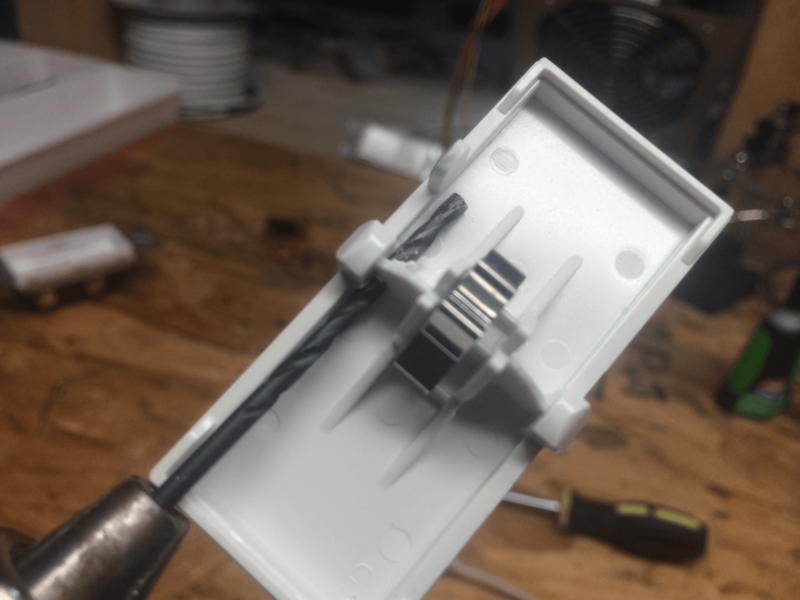 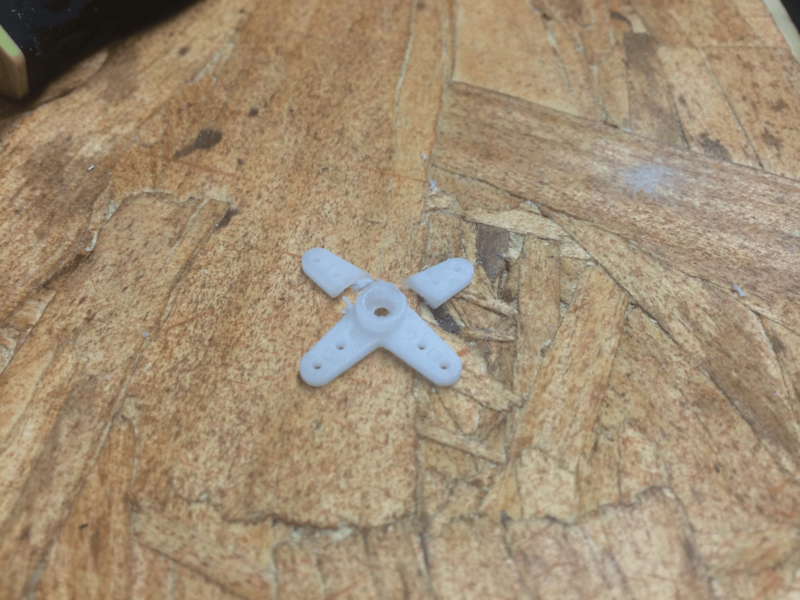 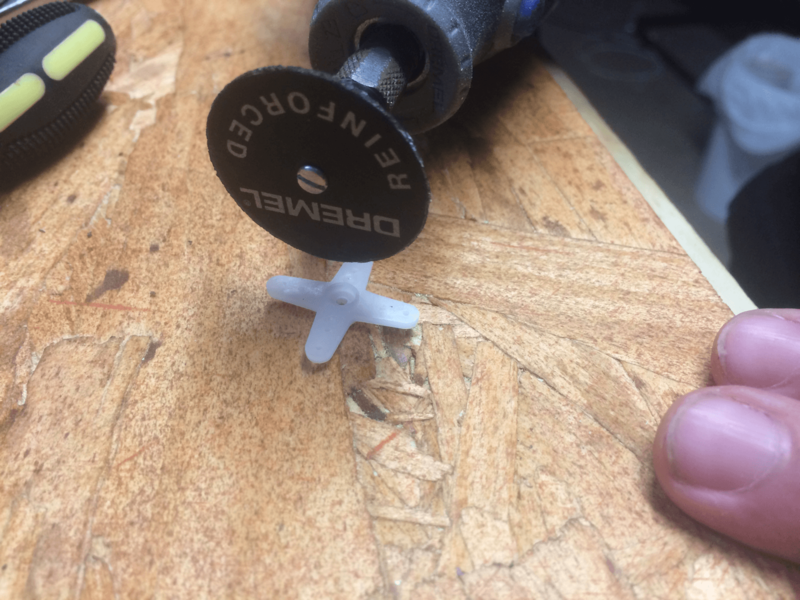 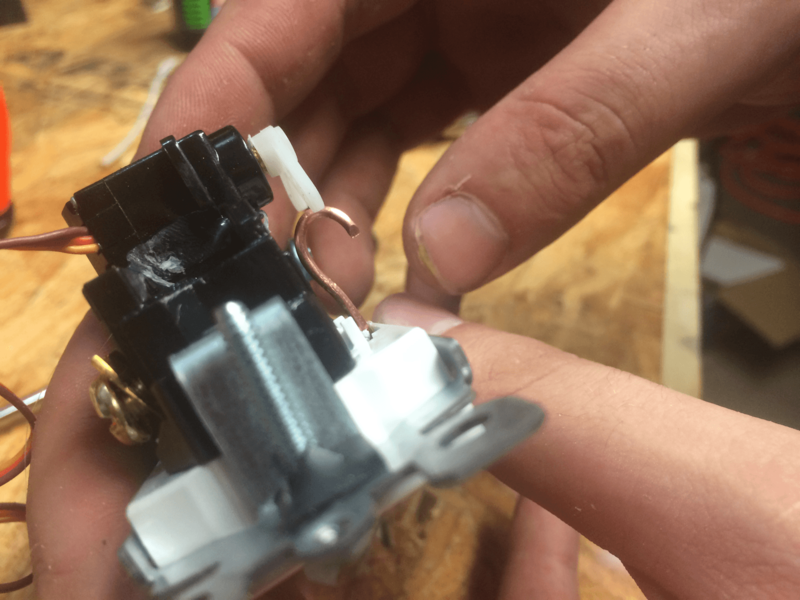 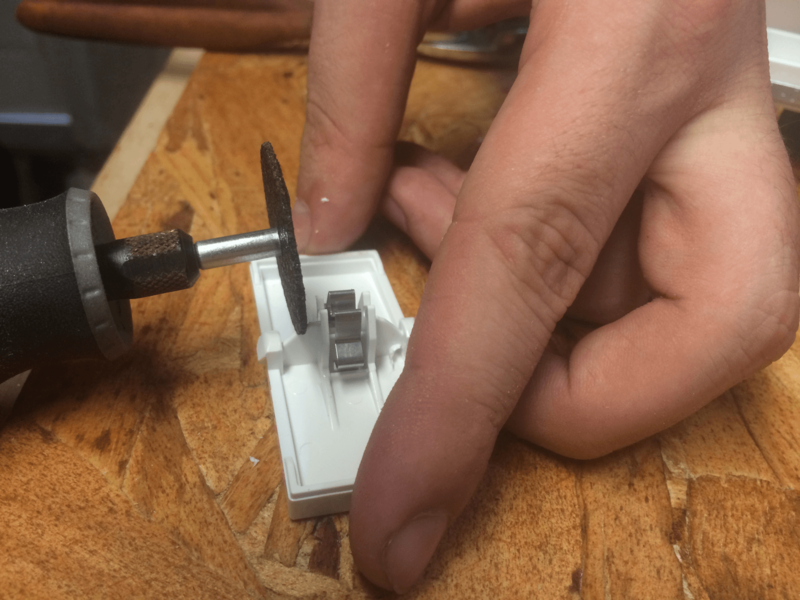 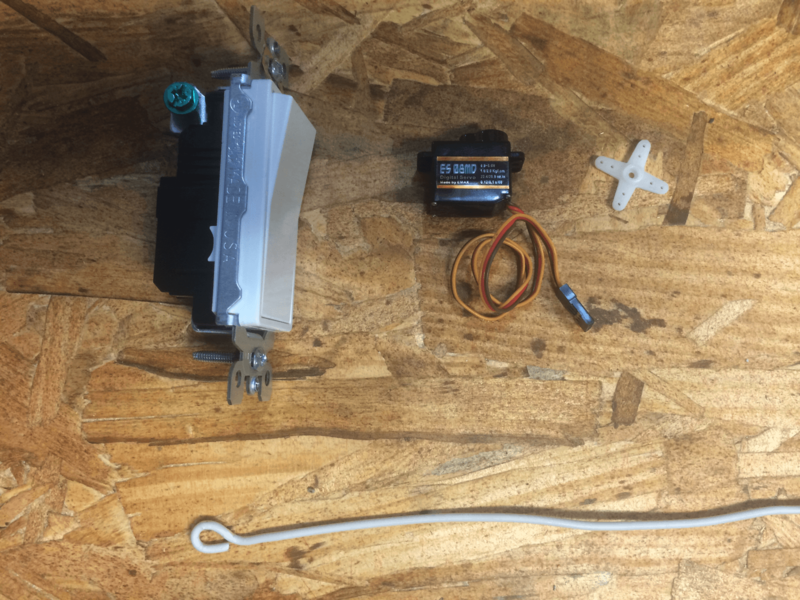 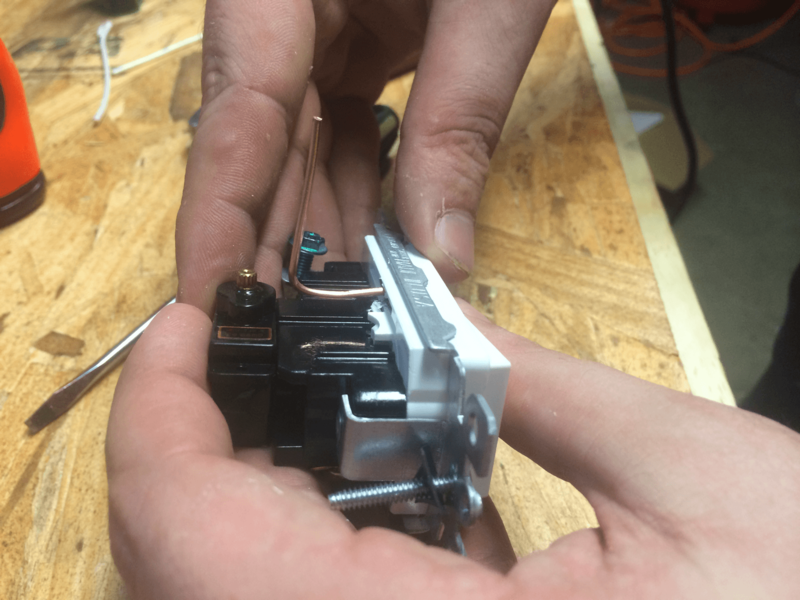 I just realized I never linked in the videos of it in action, bear in mind these are of the first prototype where the servo was connected to the toggle mechanically, the version outlined in this blog post is superior as there is no mechanical linkage to break.